In this 1hour webinar recording, presented by Dr Debby Hamilton, MD, MSPH, understand the role of T cells and how transfer factors affect in the immune system and the different subsets of T helper cells in allergic and autoimmune support. In this 23 minute webinar Dr. Andrew Campbell, to learn more about available mycotoxin testing and practical solutions for clearing mycotoxins from your system. Presented by Dr. Samuel F. Yanuck, DC, FACFN, FIAMA this 43 minute overview covers how to address immunological underpinnings of a variety of common and complex cases. In this 51 minute webinar Dr. Shailinder Sodhi will discuss the management of blood lipids and cardiovascular inflammation. 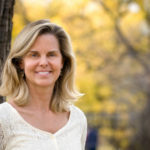 In this 52 minute webinar, Dr. Izabella Wentz, a leading expert in thyroid health, will discuss the importance of three critical etiological contributors of thyroid function: 1) detoxification, 2) the HPA axis and 3) digestive health. In this 57 minute webinar Dr. Susan Walker discusses; The history of Enterosorbents and the development of Enterosgel, the mechanism of Enterosorbent action, its unique properties of Enterosgel plus Enterosgel’s broad scope of applications in the research and dosing information with useful clinical tips. In this 49 minute webinar Dr. Shailinder Sodhi will discuss respiratory health and disorders. 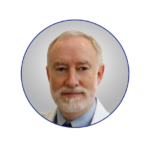 In this 2-part, 2 hour webinar, Dr Quig explains the many components of Doctor’s Data truly Comprehensive Stool Analysis, and provides a background on gastrointestinal research and how these advances have guided advances in functional testing technology and treatment. In this 49 minute webinar Dr. Virender Sodhi discusses the ins and outs of traveling during the summer. He presents how to address altitude sickness, pests and parasites encountered during travel, jet lag, and how to maintain a healthy immune system. In this 60 minute webinar, immunology expert, Dr Samuel Yanuck will discuss understanding and modulating T Cell Polarization. In this 40 minute webinar, Dr. Samuel Yanuck will describe how to identify and address underlying factors that can influence immune balance. In this 50 minute webinar, immunology expert, Dr. Samuel Yanuck will describe the interconnections between stress, microbiota and the immune system, how to address these overlapping systems, and the pertinent role they play in maintaining immune balance. In clinical practice, women comprise up to 80% of cases of immune-related joint, connective tissue, thyroid and gut health. In the 60 minute webinar, Dr. Felice Gersh discusses the etiology of these common clinical presentations, and which assessment methods, lifestyle changes and nutritional modalities are most valuable in promoting tissue tolerance and systemic immune balance.